Anyone who as ever watched a David Attenborough documentary knows that biodiversity differs in areas with different climates. Only a few species an survive in hot and dry deserts whereas warm and wet tropical forests are teeming with life. But have you every stopped to wonder why this is so? Why are certain climate conditions able to support many species and others not? More specifically, how does this work mechanistically? This was the question my co-authors and I set out to answer in our most recent paper just published online at Global Ecology and Biogeography. What can Sudoku teach us about ecology and evolution? Evolution is creeping into several different aspects of ecology. The latest buzz is all about integrating ecology and evolution. 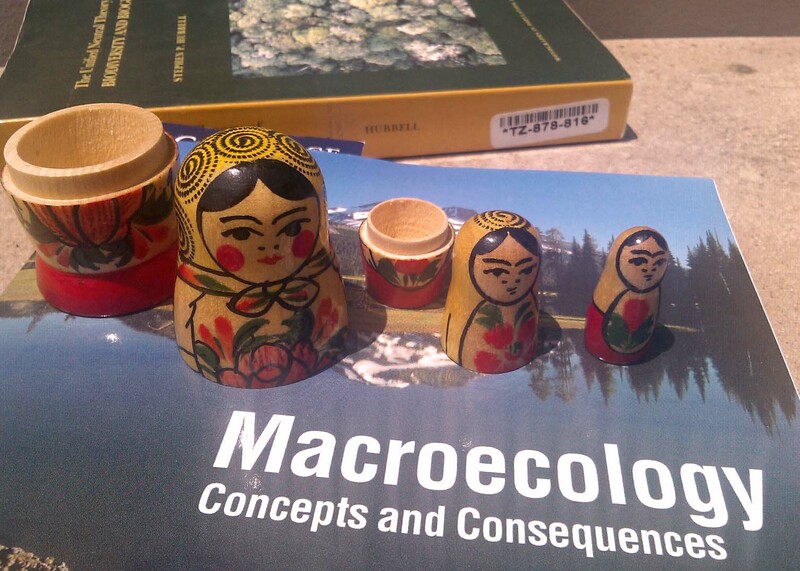 Perhaps you’ve heard of the latest research trends in eco-evolutionary dynamics or community phylogenetics? Theodosius Dobzhansky famously stated that “Nothing in biology makes sense except in the light of evolution“. This claim is undoubtedly true, but I’ve recently found myself wondering whether our obsession with evolution is actually clouding our ability to do good ecological research. Please don’t misunderstand me, I am not implying that evolution is not important in explaining patterns in nature, nor am I suggesting that we should disregard evolutionary explanations for these patterns. Instead, I believe that in order to gain a deeper understanding of ecology, we should perhaps partially blind our views using “evolution blinkers”. In fact, I’d even be so bold as to claim that unless we blind ourselves to evolution, we will never be able to fully grasp the true nature of ecological processes. Unifying ecology and evolution might actual limit our ability to build ecology as a science. Modern conservation and environmental management rely on data. Unless you can actually show cold, hard evidence of natural deterioration, you open yourself up to criticism from denialists and other eco-skeptics. It is too easy for industry lobbyists to dismiss conservation recommendations as tree-hugger scare-mongering. So conservationists, being the idealists that we are, decide to gather evidence for downward trends of various aspects of biodiversity. Unfortunately, efforts to quantify biodiversity trends are a major challenge. Not because measuring trends in diversity is particularly difficult, but rather because long-term monitoring is susceptible to sampling artefacts. No matter at which scale you look at it, nature is remarkable. Like many others, I was taught ecology in a very hierarchical way: individual organisms are part of a wider populations of species, collections of species form communities and communities come together to make up ecosystems. Similarly, single trees are nested within forests, which aggregate to form biomes. I’m sure you can come up with many comparable examples. The trouble with such neat spatial hierarchies is that they lure us into believing that if patterns appear similar at several different spatial scales, then the processes leading to these patterns should also be similar. It’s so easy to assume that nature is like a set of Russian Dolls: each daughter exactly the same as its mother, only slightly smaller. But this is not necessarily the case.